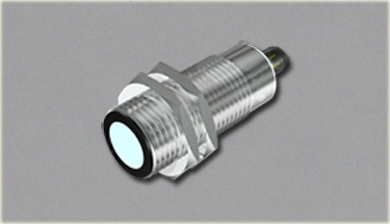 The ultrasonic sensor features a switch output with two teachable switching points. These are set by applying the supply voltage – UB or + UB to the TEACH-IN input. The supply voltage must be applied to the TEACH-IN input for at least 1 s.
LEDs indicate whether the sensor has recognised the target during the TEACH-IN procedure. Switching point A1 is taught with – UB,A2 with +UB. Five different output functions can be set. on. If want to change the switching point, the user can only setting the request distance after power restart. We are searching for products agent and dealer. have our own factory. We have the ability of written software and die sinking of developing new products. More reliable products Large number using the MCU our products,We hope that you allow us to get a new product development,This will enable us to be more long-term cooperation,If you now or in future will purchase these products, please downloads PDF,We look forward to your mail,We will offer you the best products and service,we products include 24h Timer,Timer Relay,Digital Timer,Counter,Floatless Relay,Sockets,proximity switch,photoelectric switch,solid state relay,Switch power supply,Rev.preventing relay,Long Distance Ultrasonic Sensor UB2000 30GM E5 V1.